The Tusk inaugurates our new look here by posting the most important paper in the peer-reviewed canon of the Comet Research Group since the original PNAS publication in 2007. It is truly a new day at the Tusk. The Two Part work published above and below in the Journal of Geology is a masterpiece. Michelangelo’s sense of relief and accomplishment on the last brush stroke of the Sistine Chapel can compare to the satisfaction enjoyed by the lead authors of this paper. I will allow the history books to provide details, but please understand this publication has been under development for seven years. It took Mike only four years to paint the church ceiling — and the Pope had his back. The two journal articles combine detailed forensic information from Glaciers and Ice Cores (Part 1); and Lake, Marine and Terrestrial Sediments (Part 2); to prove a cosmically induced planetary inferno, ~12,821 years ago. You are welcome to refer to this work as the “Burn Paper,” we did for years. The Burn Paper will humble the critics who have shunned the uncertainties of science rather than celebrating and nurturing them. Dr. Jacquelyn Gill comes to mind. Starting in 2009 this highly political young PhD in the Geosciences (with 79,800 tweets since 2010, or an average of 26 per day!) 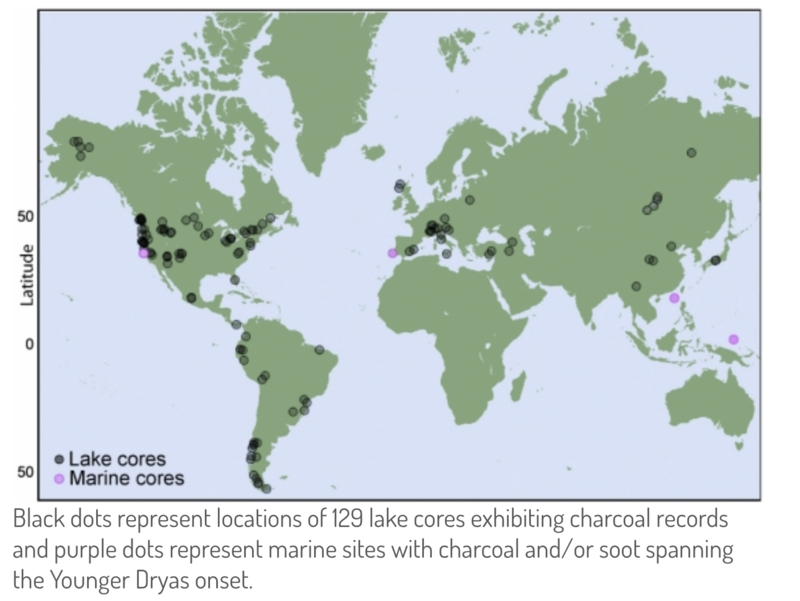 attacked the idea of evidence in lake sediments for North American continental wildfires. She made fun of the science and even belittled the peer-review process of the National Academy of Sciences. After reading the Burn Paper perhaps Ms. Gill can find a location on Planet Earth where there is no evidence in lake sediment of intense fire at ~12,900 — but she will need to go to Antarctica or Greenland — and there be Platinum. There is no escaping the evidence. But let’s not dwell on small fry like Dr. Gill. True vindication begins when we turn to big fish critics like Dr. Mark Boslough of the Sandia National Laboratory; AKA, “The Bos.” The Bos has been quiet lately. But the Tusk will never forget. He set back his own important fields – impact analysis and risk assessment – by an order of magnitude. He conspired to silence and undermine our peer-reviewed publications and public communications; and, ironically, put the world’s population at greater risk, by distracting public attention from the truly acute planetary threat by pimping a lesser one that he could blame on Republicans. The Burn Paper, like a masterpiece painting, is impossible for me to adequately summarize. Others will try and I sincerely wish them well. But while waiting to read those reviews and dissections, the Tusk is going to revel in the private squeals of the poli-scientists who have tormented the Comet Research Group for more than a decade with accusations of foolishness and fraud, only to reveal themselves finally as fraudulent fools. A great intellectual cleansing is underway. Tired old ideas, such as the notion that the heavens are simply our pleasant backdrop, rather than our regular antagonist, are being swept away. This paper is a woke moment. There will soon be others. The heavens have burned and they very nearly buried us. We are here to find out because it happened.